Sentry is an error tracking and monitoring tool that aggregates errors across your stack in real time. Route alerts to the right person based on the Azure DevOps commit that caused the issue, cutting remediation time to five minutes. Get notifications via email, SMS, or chat as part of an existing workflow when errors occur or resurface. Sentry processes over a billion exceptions every day from your favorite products on the internet (Uber, Dropbox, Airbnb, Paypal, Microsoft, and many, many more). Sentry is open-source and is loved by more than 500,000 developers globally. Sentry leverages Issue Sync and Suspect Commits to add value to your Azure DevOps workflow. If you don’t already have a Sentry account, go to https://sentry.io/signup/ and sign up for an account. Then, click the “Get it Free” button at the top of this Marketplace page. You’ll be taken to Sentry. If you already have a Sentry account, login how you normally would. 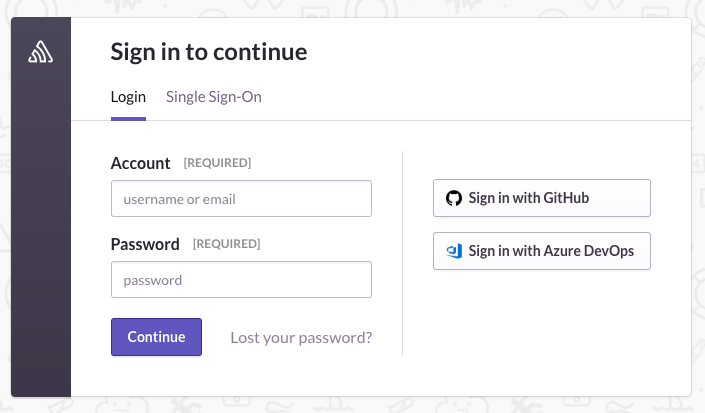 If you do not have a Sentry account, use the "Sign in with Azure DevOps" button to instantly setup a new account. 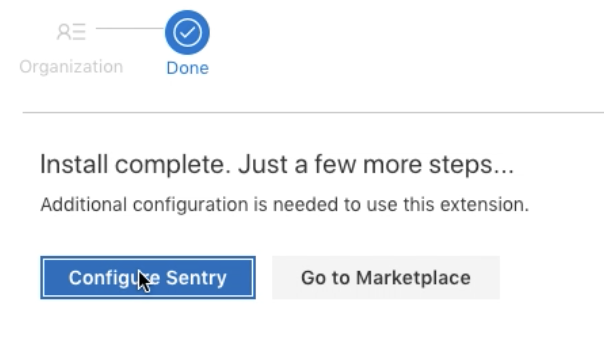 If you have more than one Sentry organization, select the Sentry organization you’d like to use with Azure DevOps. 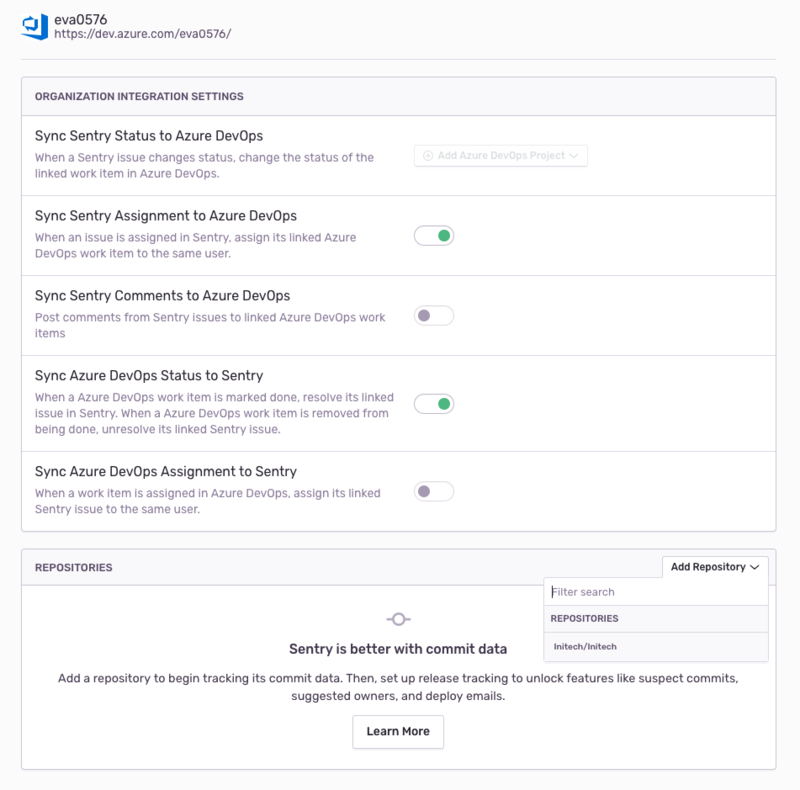 Finally, configure your organization settings to decide which information in Sentry (status, assignment, comments) should be synced to Azure DevOps.